A first to market service, the Diabetacare connected service (remote dCare monitoring™ ) bridges gaps in current diabetes management in a manner that is efficient effective and affordable. Diabetacare App help people with Diabetes manage their condition by tracking key parameters of blood glucose, calorie intake, blood pressure, weight & Insulin management. - HealthKit Integration with Health App. 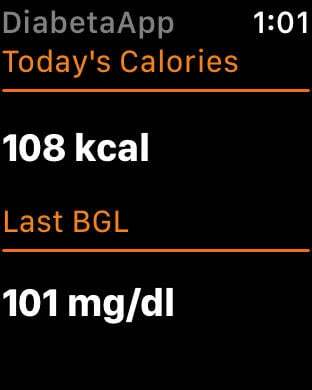 - Diabetacare Apple Watch App.